Air Conditioning Service - KDM Home & Gas Inc.
Air Conditioning Repair Experts in Durham Region – Fast Service. Friendly Technicians. If your air conditioner fails, you may be in for a long, hot summer. KDM Home and Gas is staffed with industry certified AC technicians who can perform Air Conditioning Repairs to keep you cool and comfortable during those hot summer days. Our technicians are trained on the latest AC repair techniques for a wide range of leading AC brands and units. You can also count on our friendly, local techs to help you with regular maintenance or if you’re upgrading or installing your brand new AC unit. Keep your Air Conditioner in tip top shape with regular tune-ups. 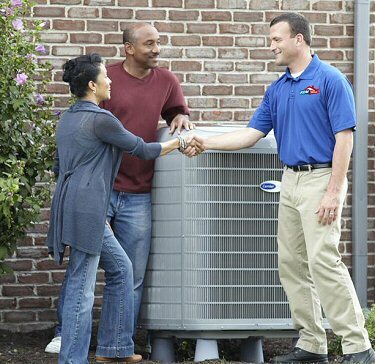 If your unit has given up, we’ll help you replace it with the system that’s right for you. And with our maintenance and protection plans, you can avoid most unexpected repair costs.